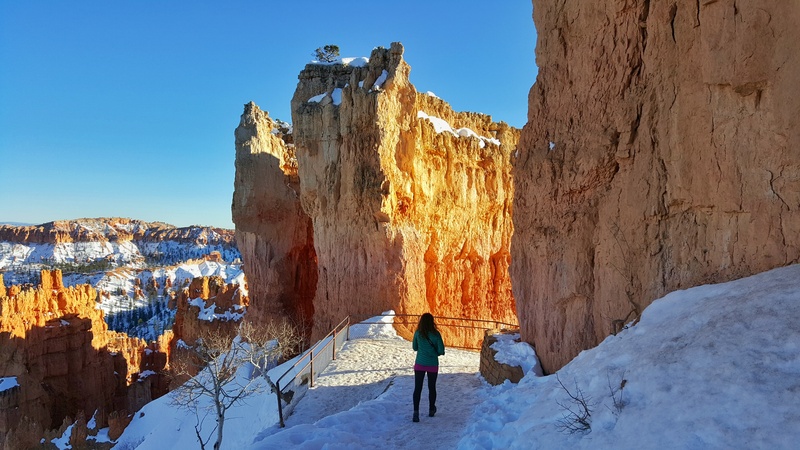 Bryce Canyon formed 4 million years ago from a large lake in what is now Western Utah. Millions of years of erosion have caused these plateaus to form small windows, and eventually falling apart, creating hoodoos, tall thin rock spires. Nearly 200 days a year, the temperature goes above and below freezing between day and night, causing frost and increased erosion levels. 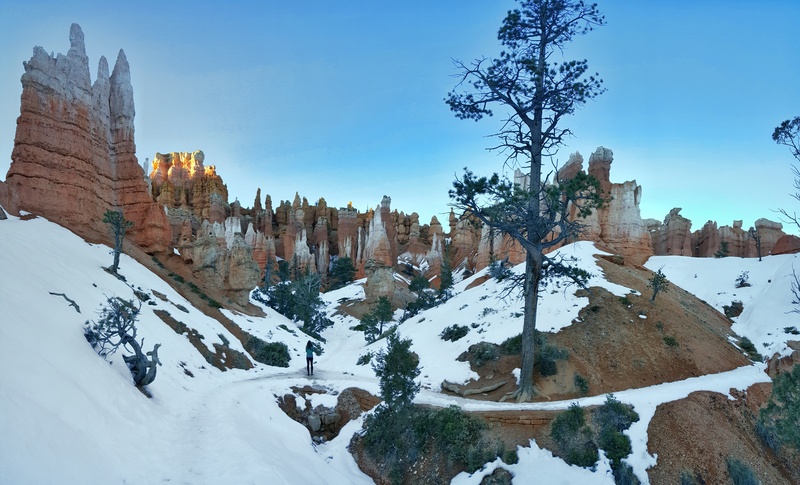 Hoodoos dominate this park and over centuries, a giant amphitheater was formed. The beautiful scenery is a photographers dream. 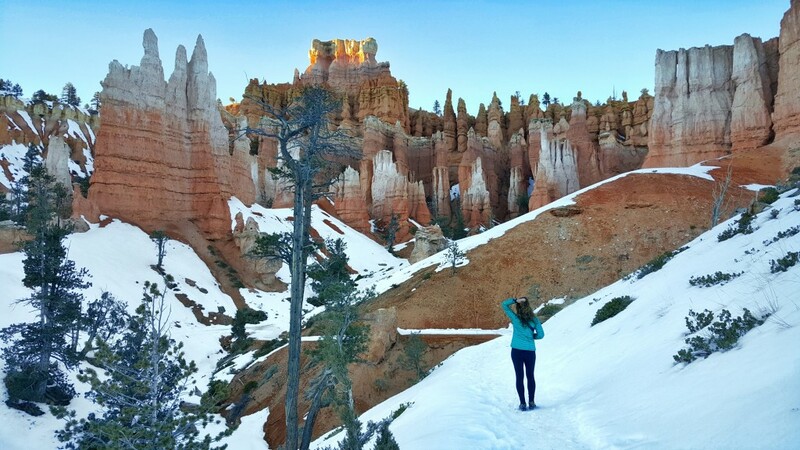 Bryce Canyon hiking is another perfect way to explore the park and get up close to the giant hoodoos. Most visit the park during the summer. 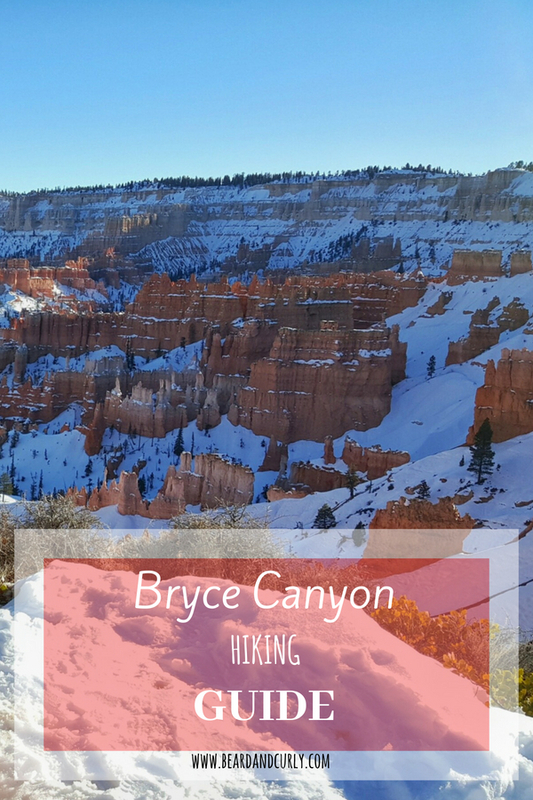 However, depending on the snow levels, we prefer Bryce in the winter. In fact, some of the best pictures we have taken are with the contrast of red rock and white snow. 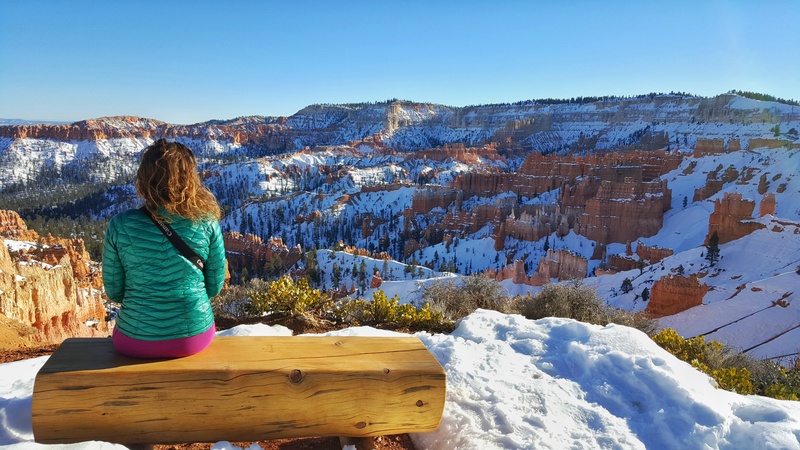 Yet, due to its location and high elevation, temperatures get very low at Bryce Canyon, so be prepared for very cold weather during the winter. 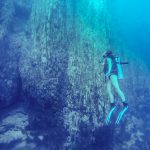 There are motels, hotels, cabins, and Airbnb options in the towns of Bryce as well as Tropic. We prefer staying in Tropic, Utah which is a 15-minute drive from the park entrance. There are a few restaurants and better options to stay in Tropic. Budget Stay: Bryce Pioneer Village in Tropic has double rooms for $60. Mid-Range Stay: Bryce Valley Lodging are cute stand-alone cabins in Tropic for $110. Rim Trail – this trail along the edge of the amphitheater is 6 miles one way. Walk partway or until the end, and return where you started from. 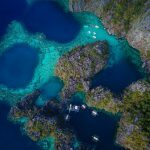 Riggs Spring Loop Trail – this 7.5-mile hike hikes through the southern end of the canyon from Rainbow Point to Yovimpa Point. 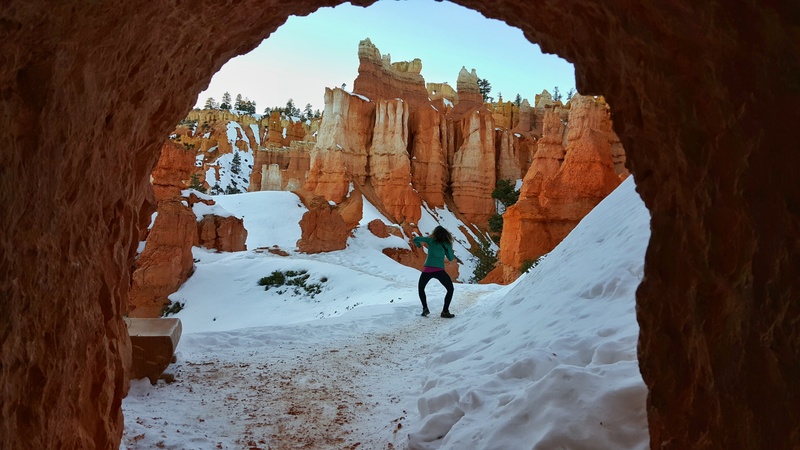 Navajo Loop Trail – this 2.4-mile hike through the hoodoos within the amphitheater begins at Sunrise Point. Queen’s Garden Trail – this 3.6-mile hike also through the amphitheater begins at Sunrise Point. 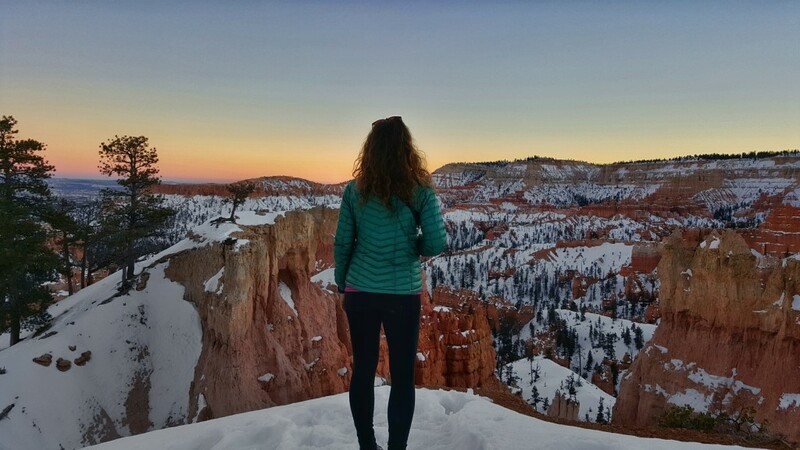 The Navajo Loop and Queen’s Garden trail can be joined to create a loop, starting from Sunset Point, ending at Sunrise Point. This hike takes you through the best of the amphitheater. With less time, set out on the Queen’s Garden trail. Start the hike from Sunset Point. 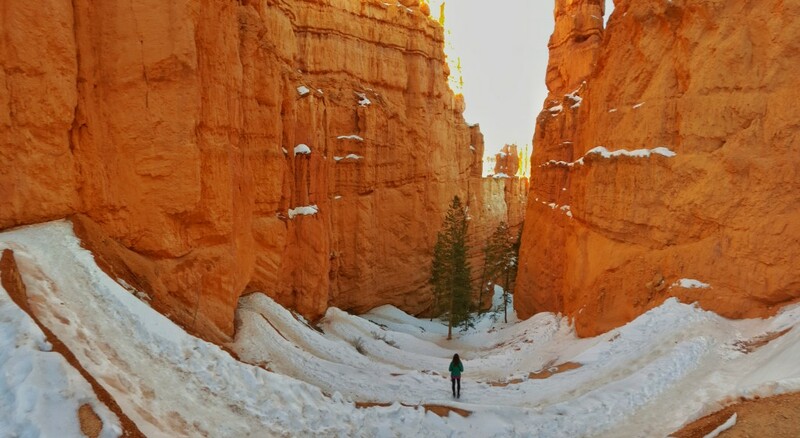 Hike the Navajo Loop Trail, which begins with a section of switchbacks into the canyon. The first mile is a joined trail for both the Navajo Loop and Queen’s Garden. After one mile, the trail will split. From the split, you can take the Navajo Loop Trail and return back to this starting point, and combine the hike with Queen’s Garden. For a shorter hike, turn left for the Queen’s Garden Trail. 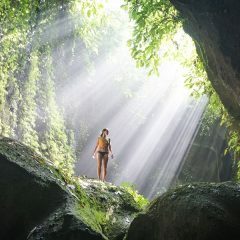 There are several tunnels and narrow passageways along this hike which makes for some unique picture opportunities. This section of the park has some of the best hoodoos and allows you to get right next to them. The finish of the Queen’s Garden hike is at Sunrise Point. This is a 0.5-mile flat walk along the rim trail to get back to Sunset Point where the hike began.